Yet another strong cold front came through the other day. Though the wind wasn't bad the temperatures again were below sixty degrees. Every cold front this winter has been like this. I swear it use to be only one or two good fronts would it get this cold, but the last two winters it has been every cold front. Despite the cold water, 60 - 65 degrees between the backcountry and the ocean side, fishing has been good. 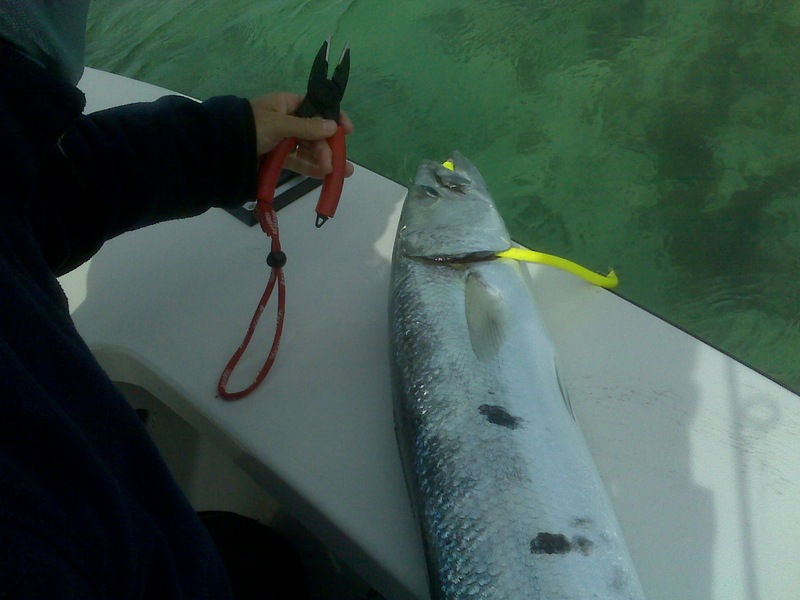 The barracudas on the oceanside flats have been very cooperative and my clients this week have had some big barracudas, pushing twenty pounds, come to the boat, along with a few smaller barracudas. 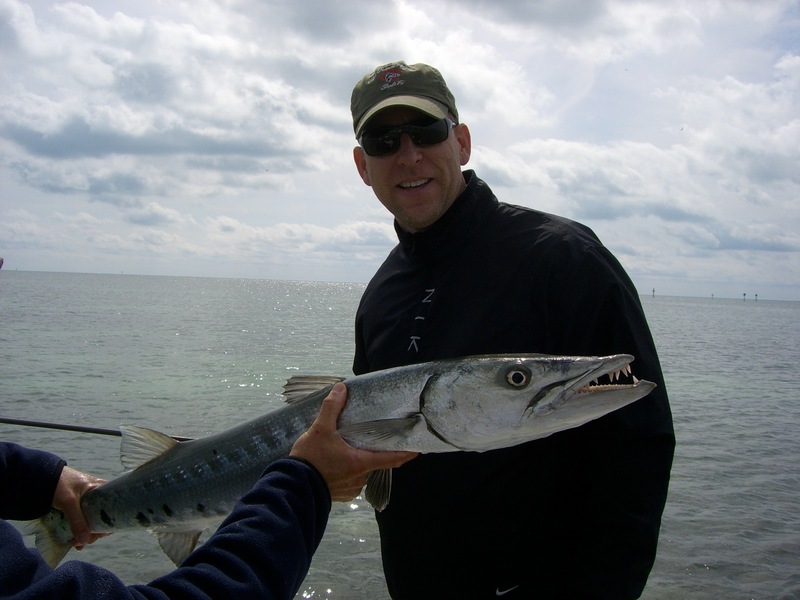 The backcountry fishing hasn't been a disappointment either with sea trout, ladyfish, pompano, jacks and plenty of redfish. Today was no exception. I fished with Gary and Scott from the Chicago area today as part of a three boat trip. 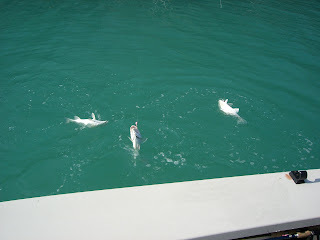 We struggled a bit this morning when we found some baby tarpon that wouldn't eat and a couple of quality of barracudas. 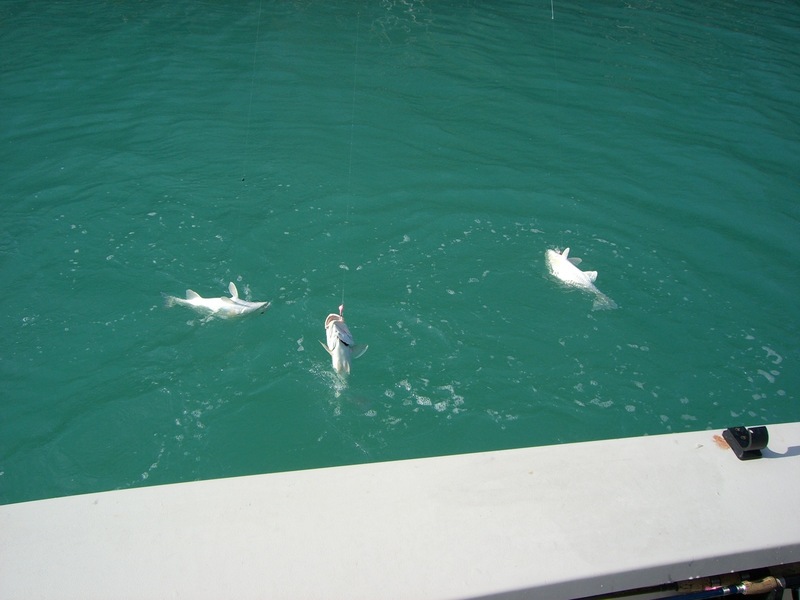 We ventured out to the backcountry during the latter part of the trip and caught a few ladyfish in Jewfish Basin. Surprisingly the water was warmer than I thought it would be at 62 - 63 degrees. We ended the day at the 'redfish hole'. It was like fishing in a bathtub. Short twenty foot cast, let the bait get to the bottom and we were hooked up. The guys caught probably thirty small redfish and this is after another boat left the spot. We also had a double triple header with the redfish. Thanks again guys. We look forward to the next time. header redfish of the day.